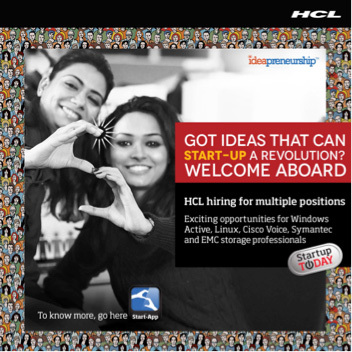 Here at HCL Technologies we have always believed in putting our employees in the driver’s seat in order to unleash their true potential. This belief, in fact, defines our business philosophy - Employees First, Customers Second. As part of this “employees first” principle, we strive to attract and foster employees who believe in something we call “ideaprenuership”. We define ideaprenuership as the attitude or ability to drive grassroots-based, business-driven and customer-focused innovation in an entrepreneurial environment. Emerging talent is the future of our business. Currently, 47% of the HCL workforce is Gen Y, and many of our future employees are still in college. In order to reach that audience, we took our ideaprenuership culture to top management colleges with our MAD LTD: Make a Difference, Lead The Difference campaign. This campaign allowed young college entrepreneurs to submit their "ideas of change" in three different categories: Social, Technology, and Business. The final winner was crowned the title of Best Ideapreneur and won a mentorship and incubation of his/her idea at HCL Technologies. Through this campaign we reached 100,000 students across campuses in India. According to an SHRM research on Social Networking Websites and Recruiting/Selection, more than three-quarters (77%) of organizations reported using social networking sites to recruit potential job candidates in 2013. For us, LinkedIn was the go-to network. As a first step, we acquired dynamic Gold Career Page on LinkedIn. Then we started sharing Jobs, company updates, employee testimonials and much more to showcase our talent brand. We segmented our audience based on geography (India, Europe, US) and role (sales, project managers, consultants) to deliver relevant content to them. We also used Recruitment Ads to create awareness about our jobs among passive talent and also drive traffic to our Career Page. 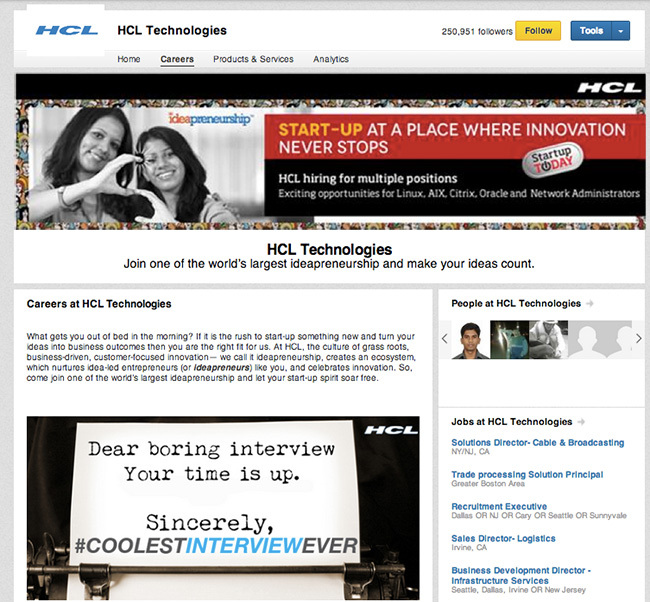 Our campaign targeted toward US Sales executives has played a key role in increasing brand awareness of HCL as an IT services leader, in markets dominated by product companies. Thanks to that, we have seen a 500% increase in traffic on LinkedIn Career Pages and a 28% increase in job applications globally. We have also seen a 37% increase in our LinkedIn Talent Brand Index. 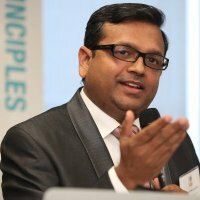 Finally, having a Company and Career Pages on LinkedIn has allowed us to share thought leadership materials like research papers, events, and webinars, so we establish ourselves as a leader in IT services. This way we always delight our followers with fresh and relevant information and stay top of mind for them. There is always a time gap between a candidate accepting the job offer and their joining date. During this time, the probability that they may drop out and accept another offer increases, especially in dynamic job markets like India. To prevent this, we are using gamification in a big way to engage and onboard new hires. How does this work? First, all new hires are sent a link to an online game on the day they accept the offer. 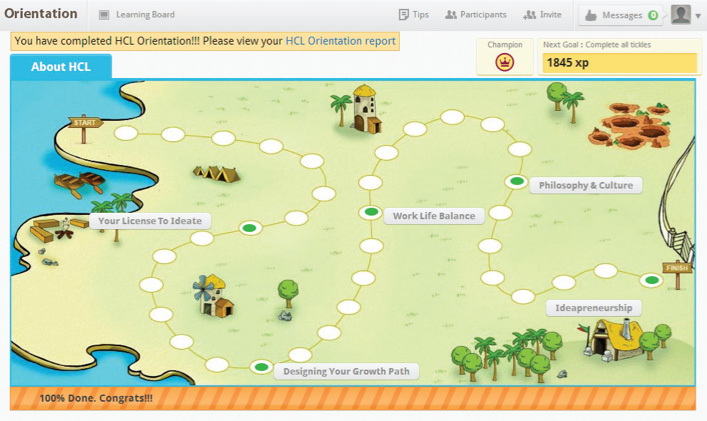 The game gives them an opportunity to understand what it’s like to work at HCL by going through 5 modules – Your license to ideate; Designing your growth path; Ideapreneurship; Work-life balance; and Philosophy and culture. Each of these modules has interactive questions, videos, and pictures. The new hires can win points and badges while interacting with other new hires and having some competitive fun. This has been a great way for our newest employees to get a glimpse of our ideaprenuership culture. These three initiatives have proven to be very successful for our employer brand - but just like our philosophy of ideapreneursip, we are constantly thinking of new ideas and looking to evolve.